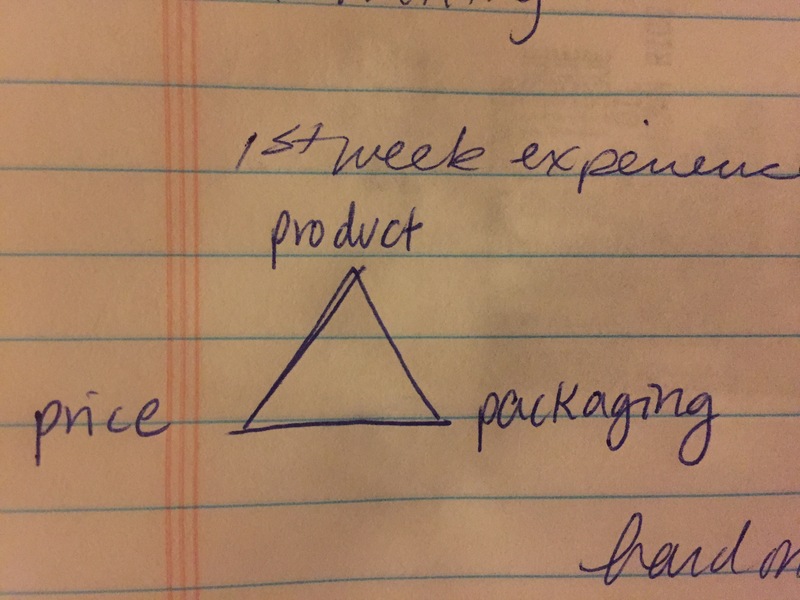 I arrived back “on island” this week (after being away for 8 months) and immediately started making decisions about the Zero Waste Challenge or ZWC, for short. As ideas started to become realities, it was time to set up some hard and fast rules. As we already established, J (my partner) and I are both to be prepared/armed with reusables at all times as well as to constantly refuse disposables. As I shopped I learned that you can have two out of three of these, but not all three. (At least not here on the island of no recycling.) I had to make compromises like spending $2 more on dried beans because they came in a pasteboard box (which will eventually break down) as opposed to plastic bag–bonus that they were organic and grown in the US. 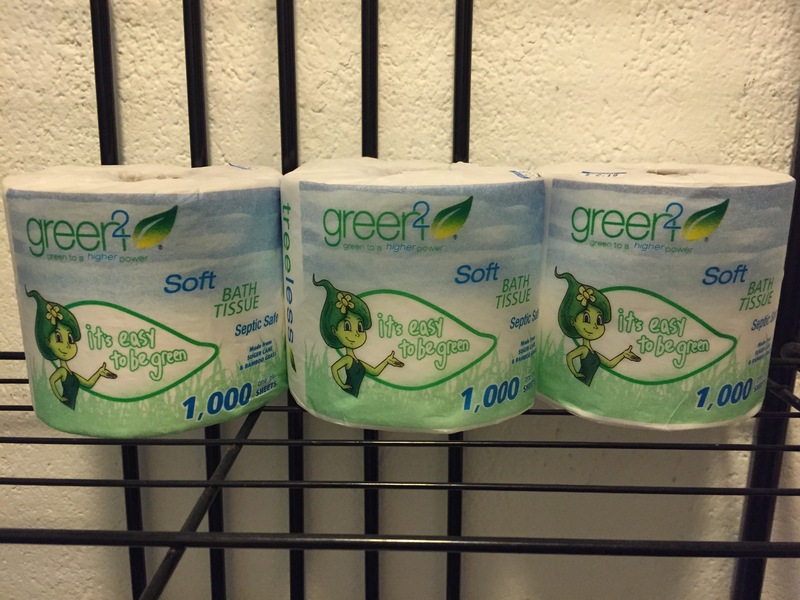 I chose individually paper wrapped rolls of toilet paper instead of multiple rolls in plastic–bonus that they used no trees to make. I very carefully chose the few spices I wanted as well as coconut oil whose glass jar could be reused. Then we could stock up on lots of fruits and veg that came just as they were. Here’s what the $80 trip looked like. Rice was the only thing I bought in a plastic bag. I was able to reuse a paper bag I had to fill with bulk oats but no such luck with the rice. I plan for this to be the most expensive grocery trip since I had to get the oil, honey, & spices to start with. The necessities I decided upon were: coconut oil, local honey, Jamaican curry powder, cinnamon, & Braggs “soy sauce” alternative. 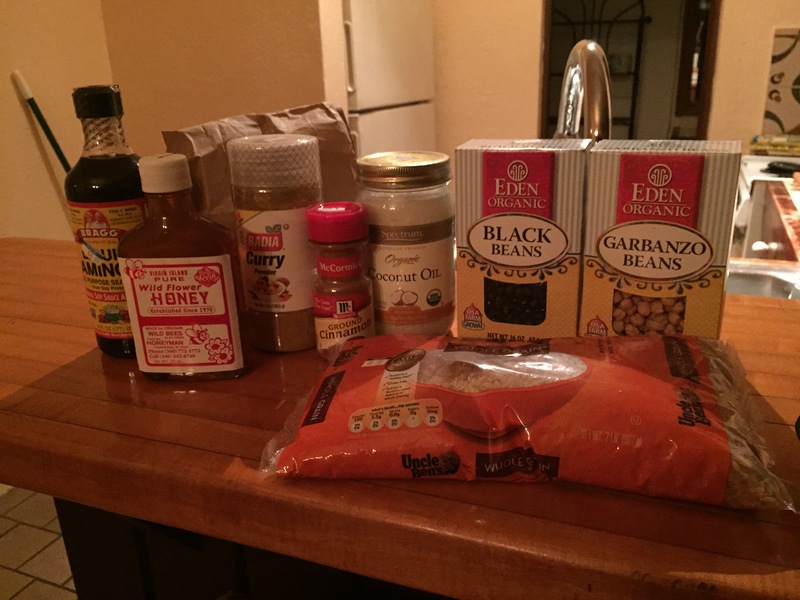 Then oats, black beans, garbanzo bean and brown rice. 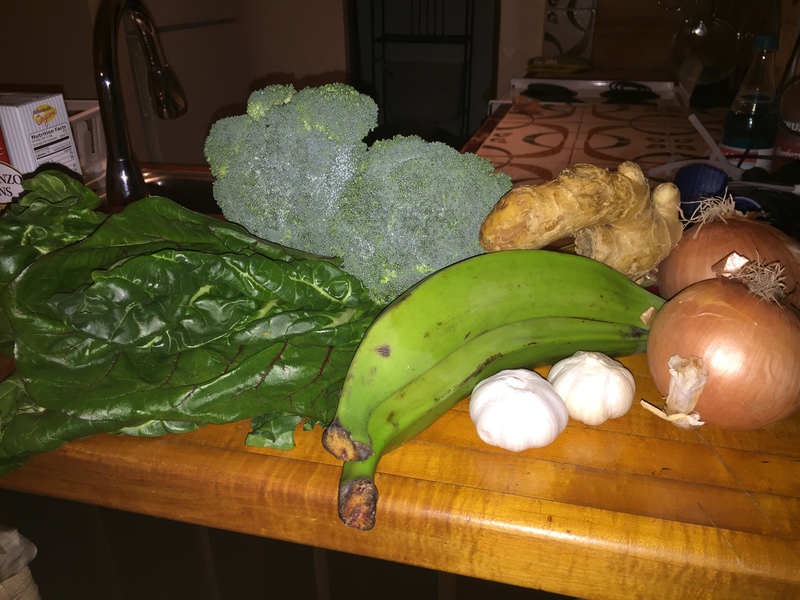 First fruit and veg included rainbow chard, broccoli, plantains, garlic, onions & ginger. I have in mind different stir–fry’s and veggie patties. I will let you know how the week goes and report some recipes next week! We have to take all our trash with us that we acquire outside of our apartment. We got some surprises when we ate out for the first time and before we knew it we had a paper napkin, a straw, two plastic ramekins and a piece of parchment paper. It wouldn’t be fair in the ZWC if we simply let the restaurant throw them away and pretend that we did not get them, so…here they come home with us and to our paper trash bag. We will have one bag of bathroom trash that cannot be avoided. There is no way around the feminine products (I am simply not ready for the Diva Cup) and condoms are our source of birth control, and we have not yet changed over to a floss alternative (we will be going the thread route soon) so for now, there will be one separate bathroom trash for this challenge. Thanks for the info! I’ll be trying it soon! I follow the zero waste path too. I use only cloth bags when I go to the supermarket. I also buy my vegetables and fruit from the nearby farm. In that way I know that my food is fresh and full with vitamins. I also bring my travel mug in the coffee shop and I do not use the plastic cups there. Thank you for sharing your experience!